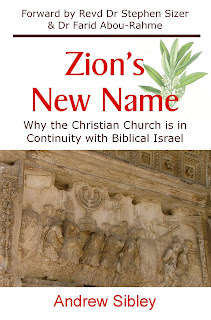 The question of the true identity of Israel is controversial in the Church today. With this question in mind Andrew has carefully studied biblical and historical sources through Genesis, Exodus, Amos, Hosea, Isaiah, Micah, Jeremiah, Ezekiel, Zechariah, and the New Testament. A consistent message emerges that the northern tribes of Israel exiled by the Assyrians in 721 BC, including Joseph’s tribe who possessed Jacob- Israel’s birthright, were to be reunited with Judah under the Messiah. This Israel had not been forgotten or replaced by God, but continues today as the Church, where Israelis, Jews and Gentiles are united in the one olive tree. Jesus, the Judaic Sceptre, reunited Judah with Israel’s birthright, thus fulfilling the following prophecies. + The northern tribes of Israel were to be restored under the promised Judaic Messiah. + Israel and Judah were to be reunited. + Restoration of Israel was to be under the new covenant. + The new covenant kingdom was to extend to the Gentiles, and to the whole earth. This leaves the difficult question of what it means for the status of the modern State of Israel before God and the theology of Christian Zionism. Andrew rejects replacement theology in favour of a theology of unity and continuity with historical Israel. Christians are also called to love Jews, as well as Palestinians, and work for peace, justice and reconciliation in the Middle East.